It's been so long since I've had avocado toast! Honey Hi is an adorable cafe in Echo Park that is 100% gluten-free. It's weird that I can't think of that many completely celiac-friendly places to eat in LA. And man they have good no-wheat bread! 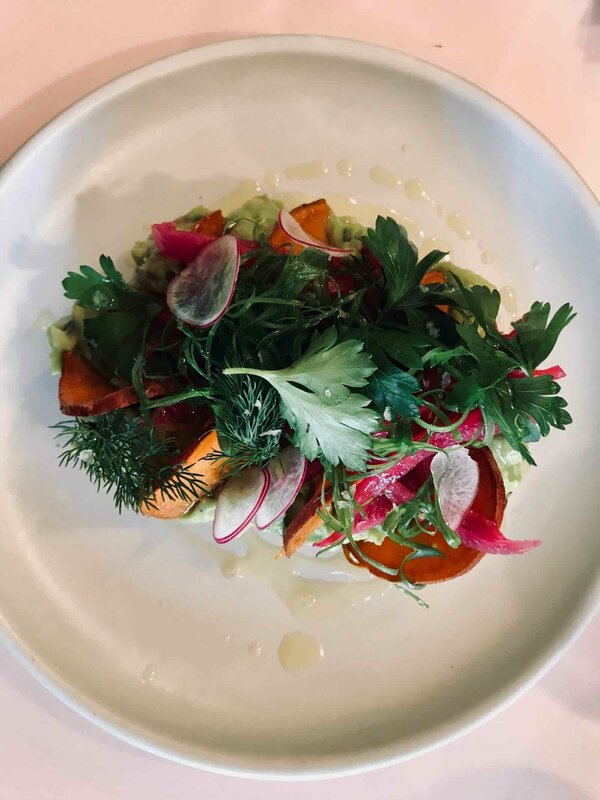 Along with a lemon avocado mash, this version also has paprika roasted sweet potatoes, scallion, pickled onions, sumac, and fresh herbs on top. Our friends loved their breakfast sandwich and bowl - you can add a turmeric poached egg to any order. So fancy. The people who work there were so sweet, too. The only downside? No bathroom!